TORONTO – August 15, 2017 – Blueprint Software, a leading provider of Agile planning and business-IT alignment solutions, today announced an expansion to its strategic partnership with Tata Consultancy Services (BSE: 532540, NSE: TCS), a top global IT services, consulting and business solutions organization. TCS, a global reseller of Blueprint products, leverages Blueprint Storyteller across its Business and Technology Services organization to provide application development and IT transformational services to large banking and financial services customers. Organizations are struggling to deliver the next phase of digital transformation that focuses on driving value back to the business on a larger scale. A recent study from Forrester Research, commissioned by Blueprint, found the majority of organizations need to automate their up-front planning and requirements management to improve business alignment with Agile and DevOps initiatives. With Storyteller, TCS helps customers align development initiatives with business goals. All customer stakeholder requirements can be captured, reviewed and validated to drive business value through the IT development and delivery process. “Blueprint Storyteller is the leading platform for automating business and IT alignment in the development cycle. We are pleased to expand our partnership with TCS to further extend methodologies for successfully providing Agile planning and IT transformational services to customers,” says Martin Saipe, SVP of Corporate Development at Blueprint. TCS consulting engagements use the leading, proprietary Transformational Delivery Method (TDM) to help customers succeed in their transformation initiatives. TCS supports customers using all leading Agile methodologies (e.g., SCRUM, LESS, SAFE, DAD) and development processes. Blueprint Storyteller was announced as a standard tool for TCS’ TDM 3.5 methodology on June 30, 2017. 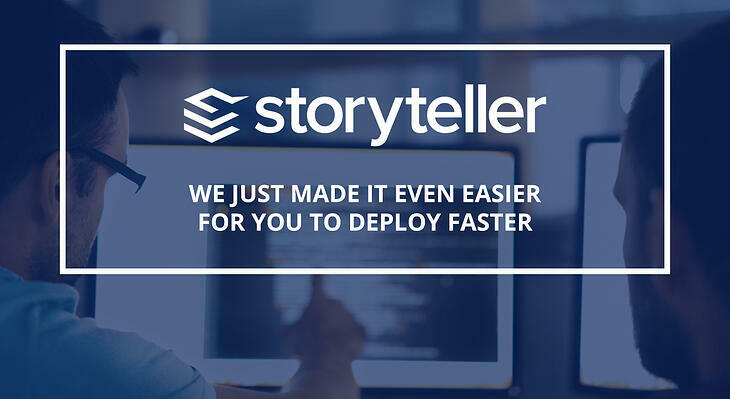 All consultants in the Business and Technology Services group use Storyteller as a standard TCS solution for their engagements. 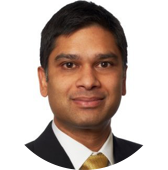 “We are pleased to partner with Blueprint in providing a standards-based mechanism via our TCS Transformation Delivery Method that now helps our clients to scale any part of any Agile framework into their customized software development methodology,” says Raman Venkatraman, Vice President & Global Head – Alliances & Technology Unit, TCS. This partnership is forecasted to have a transformative impact on customers and the broader IT market in general. Making standards-based, SEMAT (Software Engineering Method and Theory) and best practice content available through Storyteller will accelerate application development initiatives and facilitate enterprise transformations that deliver superior value to their organizations. For more information on Blueprint Storyteller or the partnership with TCS, contact info@blueprintsys.com. 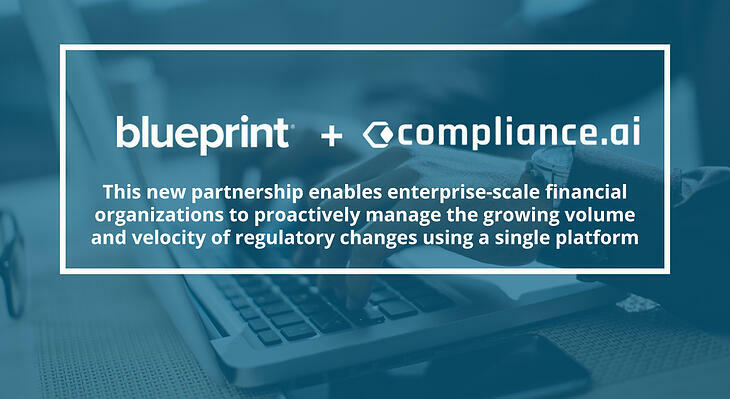 Blueprint provides industry-leading solutions that accelerate and de-risk the digital transformation of large organizations. Our products – Blueprint Storyteller and Blueprint Regulatory Change Manager – resolve many of the time-consuming, costly, and error- prone functions that challenge organizations. Our products sit at the front of the toolchain, ensuring alignment of business and IT stakeholders. We’ve created closed loop solutions that drive innovation and collaboration, ensure regulatory compliance, and protect the business value of products from definition to delivery.